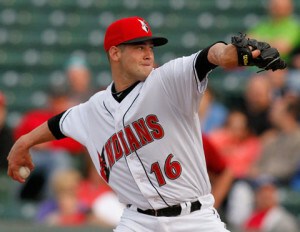 Brandon Cumpston‘s minor league contract has been purchased by the Pittsburgh Pirates and he is expected to start Saturday’s game against the Los Angeles Dodgers. Cumpton is not considered a high prospect, ranking 25th in the Pirate’s organization, but the 24-year-old has been solid for AAA Indianapolis, tossing a 3.31 ERA and 1.24 WHIP in 66 AAA innings. The Pirates are off to another solid first half start this season, fueled largely by the performance of their pitching staff. Both the rotation and bullpen have been among the best in the National League, fueling Pittsburgh to a 40-27 start to the season. Of course, two things are not working in their favor. The Pirates have had notorious second half collapses the past few years and they are playing in the toughest division in the NL, currently sitting in third place, three games behind the St. Louis Cardinals, despite having the third best record in the league. If the playoffs started today, the Cardinals would have home field advantage and their division rivals in Pittsburgh and Cincinnati would be forced into a one game playoff despite having better records than the NL East leading Braves and NL West leading Diamondbacks. A.J. Burnett has been a big reason for Pittsburgh’s early pitching success, emerging as the undisputed ace of the staff with a 3.12 ERA in 14 starts. Burnett is just 4-6, but has a 1.13 WHIP (career average is 1.31) and 99 strikeouts in 89.1 innings. The 36-year-old recently stated he would either retire or stay in Pittsburgh going forward. Cumpton will take Burnett’s place in the rotation for now as the Pirates try to continue its success with Burnett on the DL.